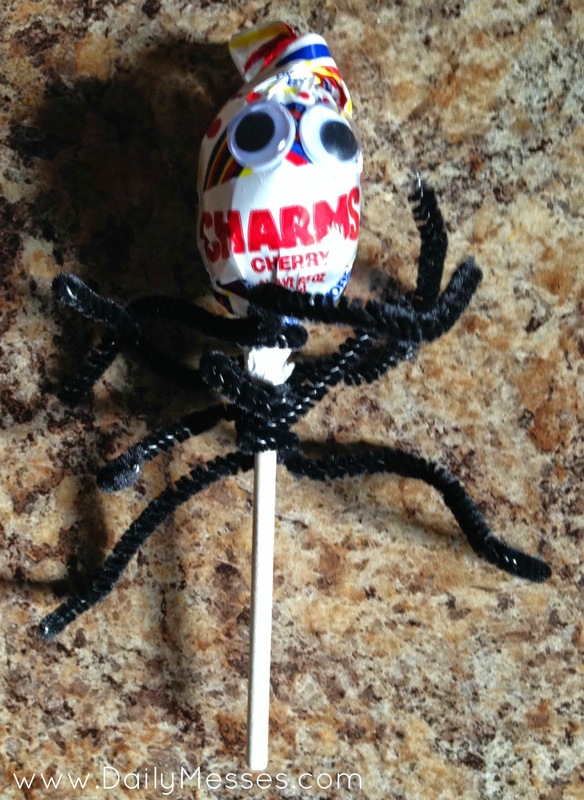 The boys made these at a Halloween party last year, and they are a super easy Halloween party craft or a goody to give out! 1. Glue on the googly eyes. I like to use glue dots to attach the eyes because you don't have to wait for the glue to dry. 2. Bend the pipe cleaner in half and wrap around the stick to create 2 legs. Repeat to get 8 eight legs.